Looking to add more antioxidants to your diet? Found in certain foods like avocados, berries, dark green veggies, nuts, and more, antioxidants inhibit the growth of free radicals in the body, which may help prevent cancer and fight signs of aging. Your body produces less antioxidants on its own as you age, so it’s a good idea to incorporate plenty of them in your diet. These recipes are chock full of antioxidants to keep you healthy and leave you feeling satisfied, for any meal of the day. 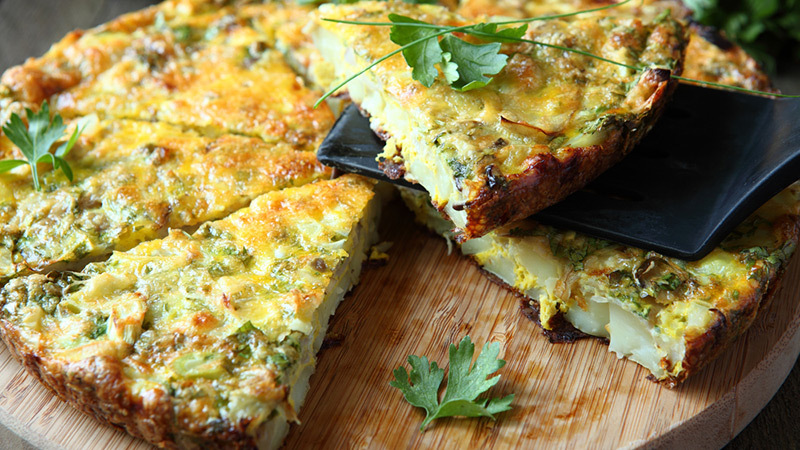 These healthy and delicious recipes will ensure you start your day off right. The best part about this smoothie breakfast? You can enjoy it every single day. This recipe is incredibly healthy (not to mention delicious) and provides a fantastic energy boost. 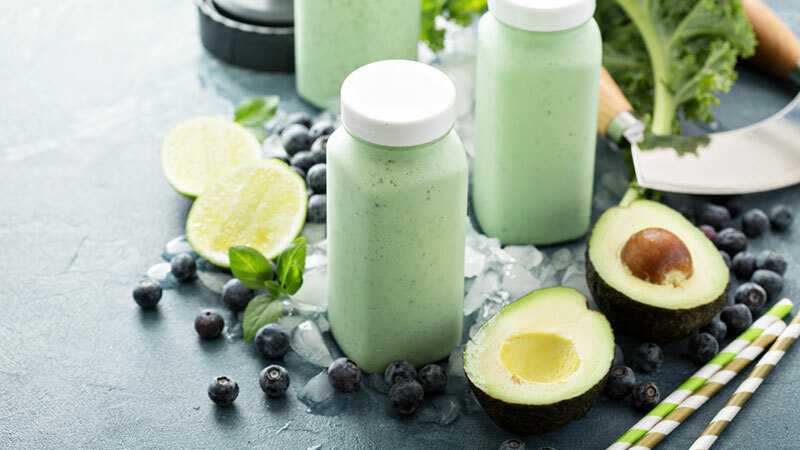 Naturally, its also chock full of antioxidants thanks to the avocado and blueberries. Put all the ingredients into a blender, and blend until combined, then serve. Get the recipe at I Am Baker. Flax seeds are an awesome superfood that are packed full of antioxidants, fiber, and tons of other good stuff. 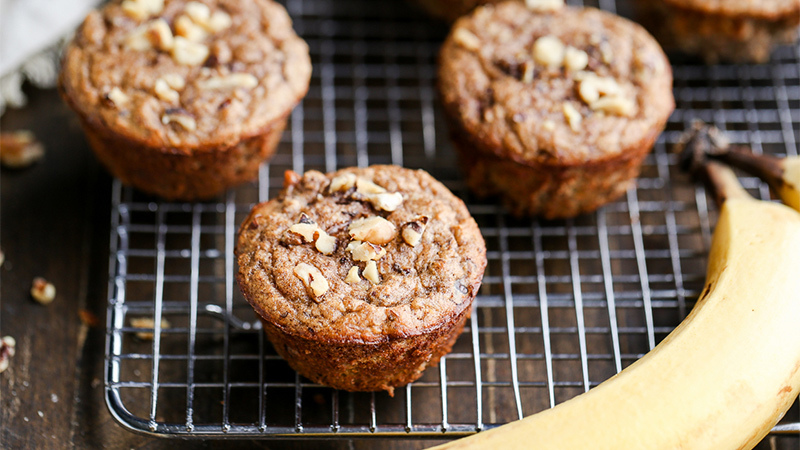 These muffins are perfect for a quick breakfast. Combine the cereal, buttermilk, and flaxseed in a food processor, then let stand for 30 minutes. Preheat the oven to 350 degrees F and coat a 12 cup muffin pan with cooking spray. Add 3 bananas to cereal mixture and process until smooth, then add sugar, egg, and oil, and mix again. In a separate bowl, combine flour, baking powder, baking soda, cinnamon, nutmeg, and salt. Then, add the resulting mixture to the food processor and blend until smooth. Pour the batter equally into the cups of the muffin pan, then slice the remaining banana and add the slices to the top of each muffin. Bake for 20 minutes or until slightly browned, then let cool before serving. Find the recipe at Vegetarian Times. Another delicious egg dish you’ll want to make over and over again, this one has eggs, bacon, cheese, and lots of greens to keep you feeling full until lunch. Preheat oven to 350 degrees F. Cook the bacon in a nonstick skillet until crisp, then transfer to a paper towel to drain. Save the bacon drippings, and return to Tbsp of them to the skillet. Saute the shallots until golden brown, then add the greens and saute until wilted and tender, or about 15 minutes. Beat eggs and salt in a large bowl, then add 3/4 cup Parmesan cheese, the cooked greens, and half of the bacon. Stir in the ricotta. Heat 1 Tbsp of the saved bacon drippings in a skillet, then pour in the egg mixture. Sprinkle the leftover bacon and Parmesan over top, and cook over medium heat until the frittata sets at the edges, then transfer to the oven and bake for 20 minutes. Let cool, then slice and serve. Get the recipe at Epicurious. 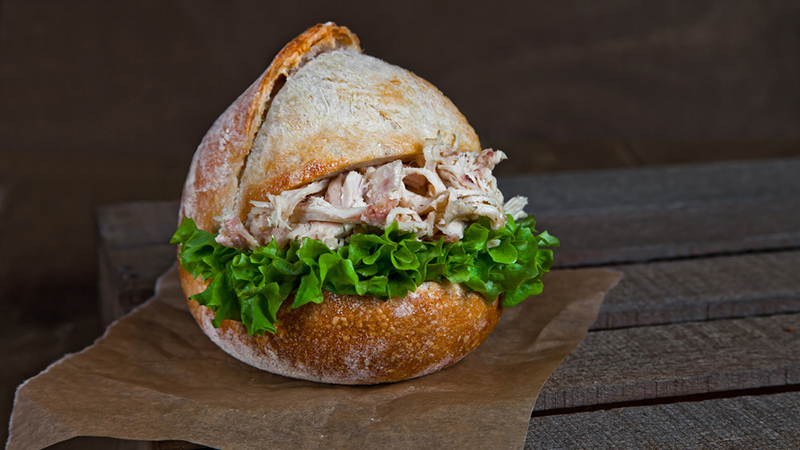 These recipes are perfect for lunch, whether you are staying in on a lazy Sunday or packing a meal for work or school. The apricots and pistachios in this recipe pack a ton of antioxidants, and make this refreshing sandwich one you won’t soon forget. Combine first 11 ingredients in a small bowl, then spread over two slices of bread. Top with lettuce, tomato, onion, and the remaining bread. 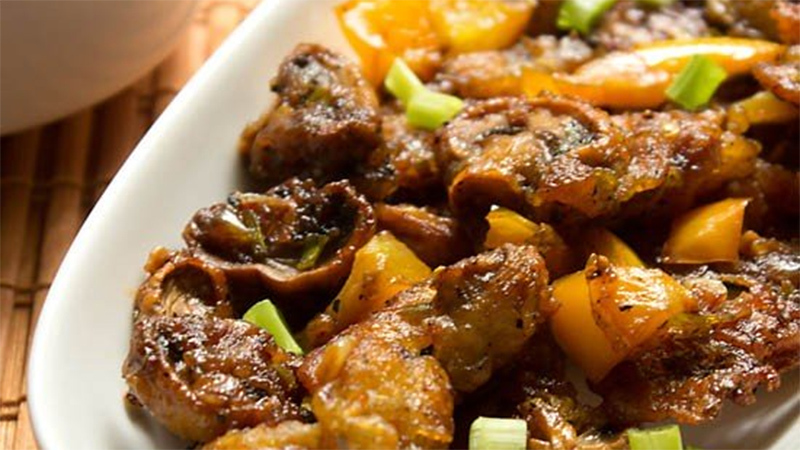 This spicy Indo-Chinese dish has tons of mushrooms, which are high in antioxidants. Together will bell peppers, green chilies, celery, and plenty of spices, this dish will soon be a favourite in your household. It tastes even better as leftovers! Dip the mushrooms in the batter. Fry the mushrooms in oil, then set them aside. Add the spring onion whites to the oil and stir fry them. Add the celery, green chili, ginger, garlic, and the spring onion greens, and continue stir frying. Add the black pepper, salt, sugar, and soya sauce. Add the mushrooms, and stir so they are fully coated with the sauce. Serve garnished with spring onion greens and celery. Find the recipe at Veg Recipes of India. For a vegetarian alternative to the traditional burger that is packed full of antioxidants and other nutrients, try this delicious dish. Mash garlic and salt on a cutting board, then mix the resulting paste with 1 Tbsp of oil in a small bowl. Brush the mixture over the portobellos and over one side of each slice of bread. In another bowl, combine the red peppers, tomato, feta, olives, vinegar, oregano, and 1 Tbsp oil. Grill mushroom caps until tender, and grill the bread until crisp. Toss the salad greens with the red pepper mixture. 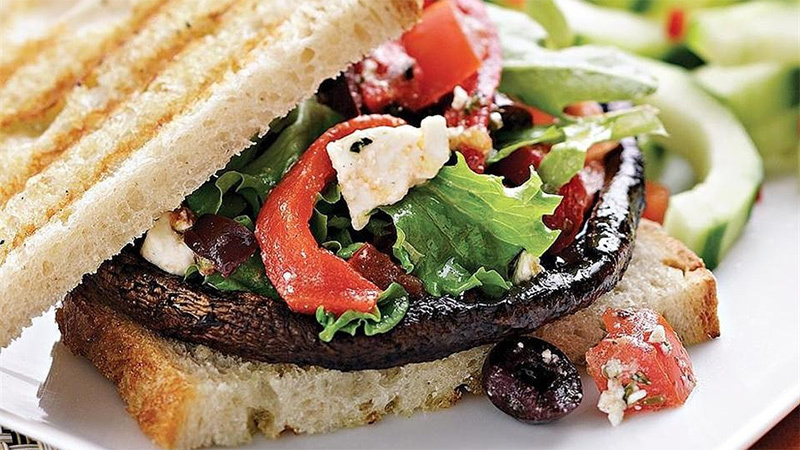 Place the mushrooms on four of the half-slices of bread, topped by the salad mixture and the remaining bread. Get the recipe at Eating Well. Try some of these for a delicious evening dish with plenty of cancer-fighting properties. 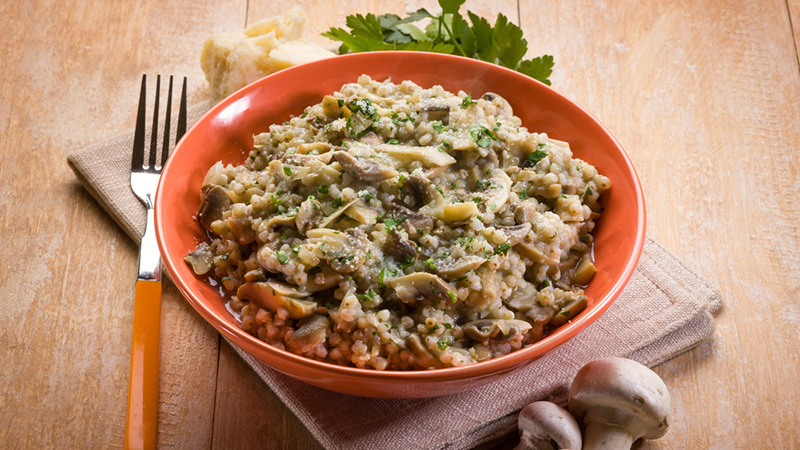 This tasty side dish has barley and mushrooms, which are both super high in antioxidants. Serve this with meat or any other hearty meal and your guests will thank you. Heat oil in a pressure cooker, then add leeks and fennel, cooking until leeks are brown. Stir in barley, then add sherry and stir until it evaporates completely before adding water, broth, mushrooms, and salt. Close the pressure cooker and turn the pressure and heat to high. Cook for 18 minutes, then release pressure and remove the lid carefully. Season with salt and pepper, then set the cooker to high heat and cook until thickened. Add the Parmesan, and serve in bowls. Get the recipe at Barley Foods. This savory salad will have your mouth watering. Cabbage perfectly compliments the other ingredients, and is also high in antioxidants to boot. 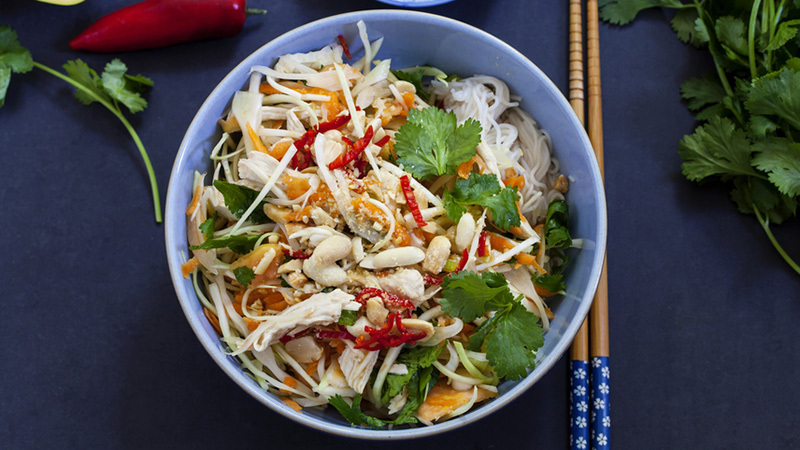 Combine rice wine vinegar, olive oil, sesame oil, and peanut sauce in a small bowl and set aside. In another bowl toss together cabbage, shredded carrot, 4 scallions, and chicken. Pour the peanut sauce mixture over the salad, and toss until everything is coated. Season the salad with pepper, and sprinkle with sesame seeds and the remaining 2 scallions. Find the recipe at Health Magazine. 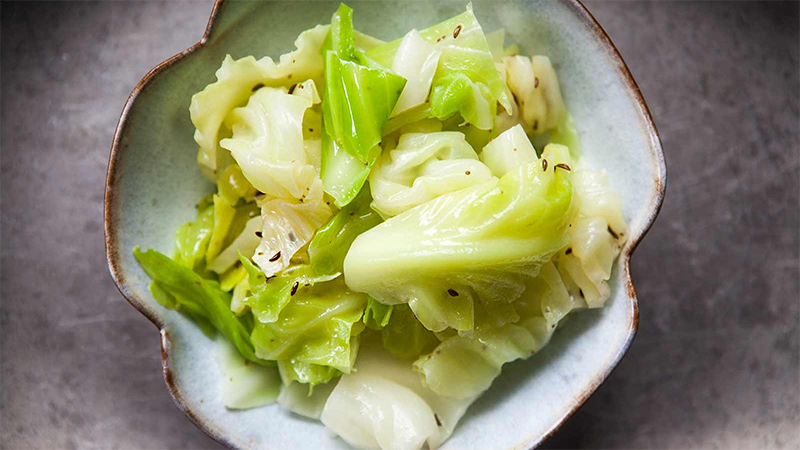 Another side dish, this tasty recipe just might convince you of the amazing-ness of cabbage on its own. The antioxidant properties are great, but you’ll want to eat this just because it’s so damn delicious. Remove the outer leaves from the cabbage, and cut the remainder into four, removing the stalk. Cut each quarter into shreds against the grain. Put 3 Tbsp of water into a saucepan with the butter and a pinch of salt. Bring it to a boil, then add the cabbage and toss it so it becomes coated. Cover, and cook for a few minutes. Remove from heat, and toss the cooked cabbage with pepper and the extra butter, the serve. 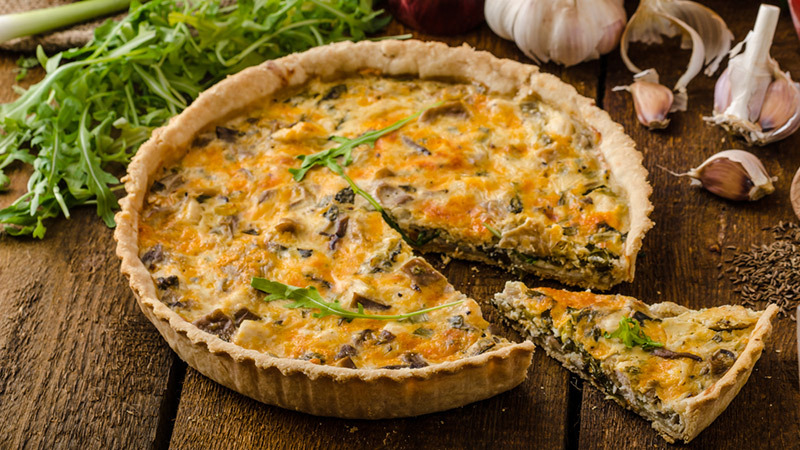 Not only do the mushrooms in this recipe have excellent antioxidant properties, the eggs do too! This dish is easy to make, and incredibly yummy. This one can be enjoyed for breakfast, lunch or dinner: There are no rules here! Separate the crescent roll dough and place in an ungreased pie pan with the points toward the center, then press and form them into a crust. Spread the crust with mustard. In a skillet, saute the asparagus, onion, and mushrooms in butter. Combine the remaining ingredients in a large bowl, then stir in the asparagus mixture. Pour everything into the crust. Bake at 375 degrees F for 30 minutes, or until done. Let stand before serving. Try the recipe at Taste of Home.